Calls have been made for an urgent probe into the soaring amount of caffeine being “hidden” in food and drinks. MSPs and health experts are demanding answers after it was revealed the stimulant is being added to a host of unlikely products. Incredibly, the list includes chewing gum, jelly beans and even water. US authorities have launched an investigation into the practice by food manufacturers. The Food and Drug Administration is focusing on its effects on children. Now Scotland’s food watchdogs are being urged to follow suit. Scottish Green MSP Alison Johnstone said: “The problem of hidden caffeine is staggering. “Manufacturers say it’s a flavouring so they don’t have to declare it up front. Last night, one of Scotland’s leading nutritionists demanded a Government-led crackdown on its use. Professor Mike Lean of Glasgow University, a former Government advisor, said: “Caffeine is being stuck into food right, left and centre. “The only reason for this is to breed a type of addiction. Coca-Cola were the first to add caffeine, swapping it with cocaine, which incredibly had been used up until then. By the 1990s soft drink manufacturers had discovered adding vast volumes of caffeine to their ‘energy drinks’ often spelled big profits. In recent years the stimulant has been added to everything from sweets to chewing gum and even instant porridge. But a number of health fears have prompted concerns among authorities. Last October, a US family launched legal action against the makers of Monster energy drink when their 14-year-old daughter died after drinking two cans in quick succession. Earlier this year, a New Zealand coroner blamed mother-of-eight Natasha Harris’s death on her addiction to Coke. The 30-year-old regularly knocked back 18 pints of the soft drink a day twice the recommended daily caffeine consumption and more than 11 times the recommended sugar intake. Earlier this month, the investigation in the US by the FDA prompted chewing gum makers Wrigley’s to withdraw their Alert gum, which had only been on sale for just over a week. Each stick of the gum contained 40 mg of caffeine the same as half a cup of coffee. Alison Johnstone added: “If ministers were serious about improving the nation’s health they’d look into this. “Sadly, when I asked SNP ministers whether they had concerns about reports of children consuming caffeinated energy drinks they said no. “They haven’t spoken to manufacturers or retailers about the issue, and have no plans to restrict sales of these products. “Yet new rules agreed by Europe come into force at the end of next year which will require energy drinks to state more clearly that they are not recommended for children. A spokeswoman for the Scottish Government said: “We have no current plans to restrict caffeine. 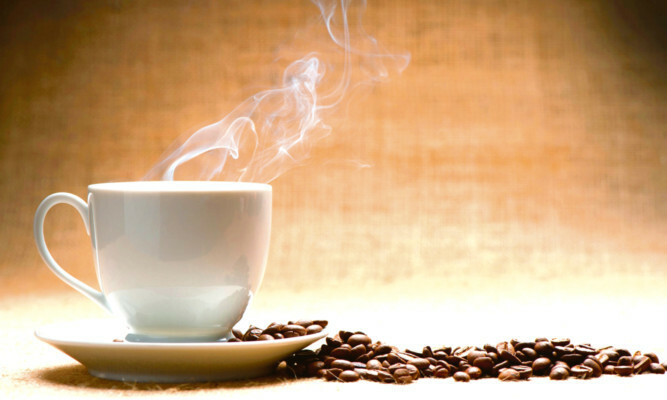 A report published three months ago claimed many people don’t understand the risks of caffeine. The US journal Chemical and Engineering News said the huge growth in energy drink sales has made scientists and regulators worry about safe levels of the stimulant. “Habitual caffeine consumption can lead to physical dependence,’ Dr Steven Meredith, a postdoctoral fellow at Johns Hopkins University School of Medicine is reported to have said. That problem could get worse, Some US newspapers have claimed military scientists have been testing and developing caffeinated meat.